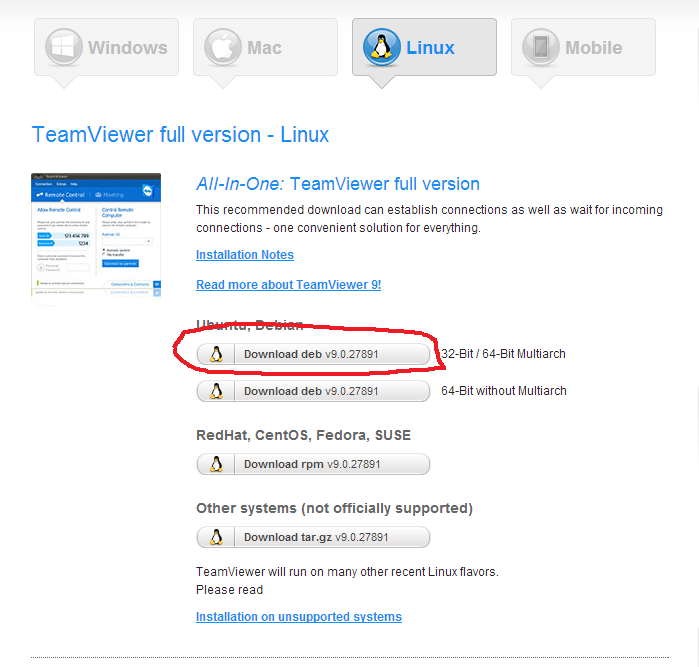 So you need to install Multiarch version of TeamViewer. Download the 32-Bit / 64-Bit Multiarch version. Double click to install.